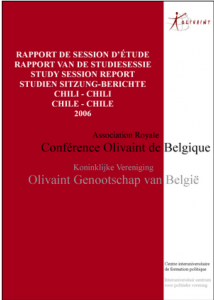 The Session Reports testify of the scientific character of the Olivaint Conference’s activities. They group the individual thematic contributions of the Members who took part in the study sessions and include the program of meetings and conferences held. The Reports are filed with the Belgian National Library and made available to anyone, including through this website.